One of the Legions of Cobra's land forces is the Provost Force Command. The Provost Force is a paramilitary organisation responsible for internal security within Cobra's imperial federated territories, dependencies and installations. The Provost Force Command's two agencies are the Frontier Agency, responsible for territorial borders, and the Cobra Security Service, which provides a sentry force, a gendarmerie and a civil police constabulary. The Cobra Constabulary is a kind of imperial federal police force employed in different capacities depending on the type of territory they are operating in. 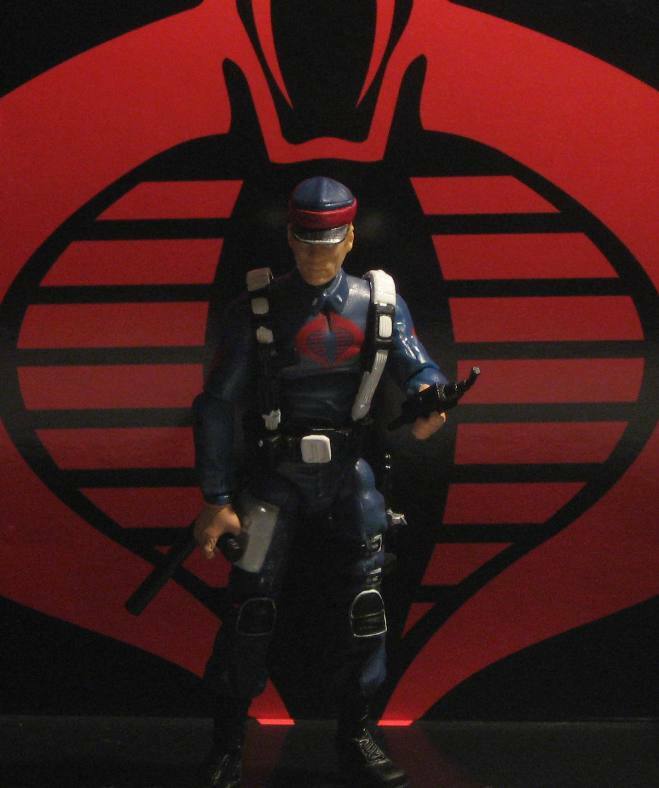 Within dependant territories, the Constabulary tends to take a back seat to local territorial police forces, though sometimes operate jointly with them to ensure that Cobra's interests are looked after with respect to law and order. 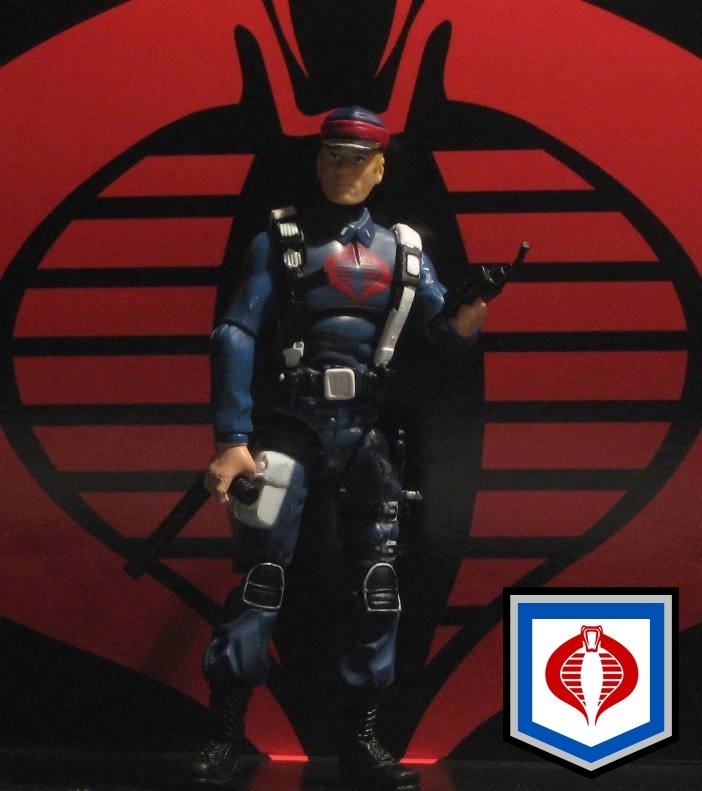 In Cobra's overtly affiliated Imperial Federated Territories - those territories integrated within the Cobra Empire - the Cobra Constabulary is the local police force, its members primarily drawn from the local population. 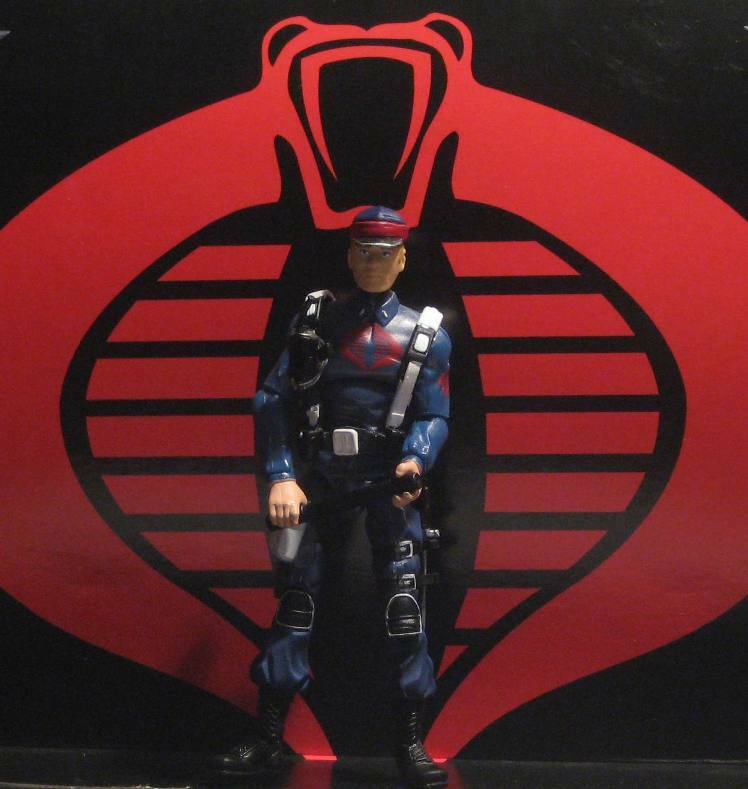 Cobra Constabulary troopers wear the standard trooper uniform but with a larger Cobra crest. They are distiguished by white uniform and webbing detailing, peaked caps and the absence of a mask. The police trooper shown is a Sergeant, as indicated by his hat band. The shield shown in the first image is that of the Cobra Constabulary.